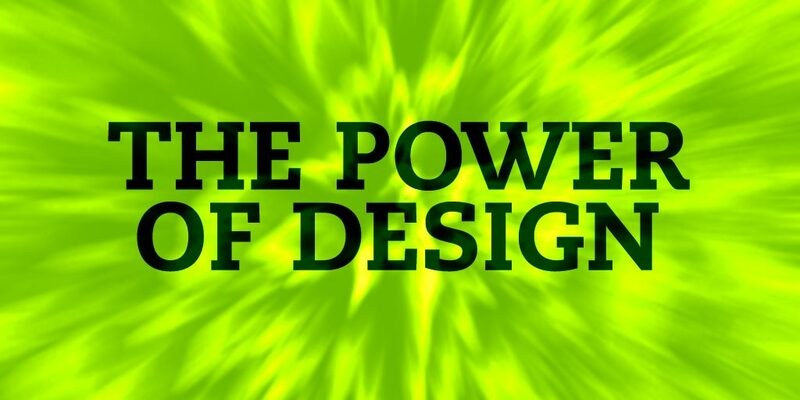 It’s easy to underestimate how important and influential design is. In fact, really great design is sometimes hard to see unless you’re looking for it, because it’s not always easy to see what’s going on beneath the surface. When introducing myself and what my occupation is, on more than one occasion I’ve heard the response, “Oh, so you make things look pretty!” Now, that’s not typically the adjective I’d choose, but it makes me smile and I have to agree that yes, indeed my job is to help make brands, companies, products, and people look their best. However, good design is far deeper than simply polishing the surface of some random marketing technique, or applying a quick coat of paint to make a company look shiny. In fact, design is all around us – at our jobs, in our homes, and in the products we use. Quality in design is a from-the-ground-up exercise in ensuring that things with a particular function do so elegantly, even invisibly if necessary. It’s about bringing together disparate pieces and making something unified and whole out of what looks like chaos. Multibillion-dollar corporations rise and fall on design, because design is more than just “looking good” – it has the power to shape the message, image, and perception of the brand wielding it. Done well, design brings out the best an organization has to offer and makes it accessible to its audience: customers, clients, employees and affiliates. It has the power to make abstract ideas become tangible, visible reality. It can make unseen connections, build bridges, and inspire new directions. Here’s the question: What role does design have in your organization’s activities? Does it inform any decisions about your marketing, brand, products, and customers? Is it the last element considered, or does it play a pivotal role in establishing your brand? Wield the power well, and design will do more than make your brand “look pretty” – it will bring out the very best in what you do.